Narratives develop integrity by ignoring commonly accepted value judgments of good and bad. To many, the determination of key players within a narrative remains simple: identify the good guy and identify the bad guy. Unfortunately, assumed notions of morality fail to take into consideration the actual inequity of the story. Sometimes the efforts to resolve an inequity turn out to be a good thing; other times, they do not. The key towards maintaining the integrity of a narrative from beginning to end lies in the correct identification of the fundamental inequity of a story. to accurately define the objective Goal of a narrative, one must first identify the beginning of conflict–the moment when equity turns to inequity–within the scope of that one story. This injustice calls for some resolution. In some stories–like Star Wars, Arrival, Moonlight, and Captain America: Civil War–resolution arrives. In other stories–like Hamlet, Doubt, The Devil Wears Prada, and Manchester by the Sea–the resolution of the initial inequity fails to materialize. The first group tells of triumphs, the second of tragedies. The Protagonist and Antagonist of a narrative operate within the Overall Story Throughline perspective of They, as in they’re fighting against one another or they’re manipulating one another. Good or bad may play into their pursuits of fighting or manipulating or any other kind of conflict through thematic judgments, but the quality of “good” or “bad” within the context of the Protagonist fails to matter when considering the function of a Protagonist. Value judgments of good or bad fail to factor into this determination. By all accounts sane and righteous, Michael Clayton’s Karen Crowder (Tilda Swinton) is a “bad” guy. Yet, her actions reveal her to be the Protagonist–the one pursuing resolution of the story’s inequity. In How to Train Your Dragon, the destruction of the Viking hometown of Berk upsets the balance of things and drives the Vikings that inhabit that island to seek resolution. Their leader, Stoick (Gerard Butler) pursues a course aimed at training the next generation of dragon killers. His son, Hiccup (Jay Baruchel), does everything in his power to avoid, or prevent, the achievement of this goal. Stoick is the Protagonist of the film, Hiccup the Antagonist. Both play “good” characters in the story. 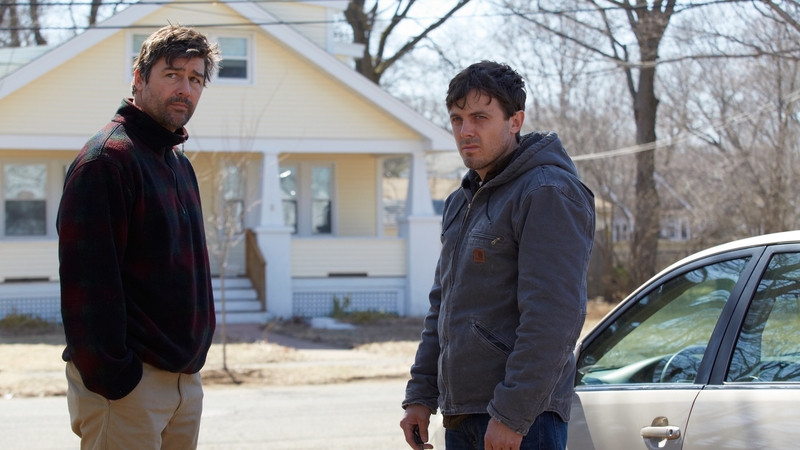 Manchester by the Sea explores conflict resolution surrounding the death of a single father. Once Joe Chandler (Kyle Chandler) discovers he has ten years left to live, he sets out to find a way for his brother, Lee Chandler (Casey Affleck) to figure into the raising of his son Patrick (Lucas Hedges). While deceased for most of the narrative, Joe functions as Protagonist driving the successful resolution of this inequity. Lee avoids or prevents, the accomplishment of this Goal both consciously and subconsciously. In some respects, Lee’s behavior can be seen as “bad,” yet the Author positions him as a “good” guy throughout the narrative. When looking dispassionately at the events of a story, a narrative wastes little time considering the goodness or badness of a motivational force in the context of inequity resolution. Consider the example of Captain America: Civil War. The initial inequity of that narrative begins when the Scarlett Witch (Elizabeth Olsen) uses telekinesis to protect Captain America (Chris Evans) from an explosion. She grabs the explosion and throws it into the air–accidentally killing innocent humanitarian workers in a nearby building. Everything that follows–the Sokovia Accords, helping the Winter Soldier escape the authorities, the fight at the airport, and even the fight between Captain America and Iron Man–claims this act as the initial motivating force. Stopping the Avengers, or tearing them apart, is the objective Story Goal that resolves that initial inequity. Allowing innocent people to continue to die is the Story Consequence of failing to achieve that Goal. In a moral world where everyone knows right from wrong and submits to a familiar ethereal authority figure, the idea of tearing the Avengers apart as a Story Goal seems ridiculous. But these are the good guys, why would the story work against them? In this scenario, assumed righteousness determines the objective context, not the events of the story itself. When determining the integrity of a narrative, the story must reign supreme–not one’s understanding of right or wrong. Captain America: Civil War goes through great extremes to present a balanced argument on both sides. No one is good, and no one is bad. Fans of the characters may choose their favorite side, but in the end–the narrative claims final word over inequity resolution. Helmut Zemo. The bad guy. Zemo (Daniel Brühl) is the character pursuing efforts to tear the Avengers apart. Also, he motivates other characters to consider reasons why the Avengers should be split apart. His effort to generate disinformation in regards to the bomber’s true identity and his endeavor to present a new context for Tony’s familial grief fulfills the objective character element of Consider. In the Dramatica theory of story, an archetypal Protagonist consists of two motivation elements: Pursuit and Consider. Pursuit is defined as a directed effort to resolve a problem and Consider is described as weighing pros and cons. Put these two motivations into one player under the context of an inequity requiring resolution, and you have a Protagonist. Captain America. The good guy. From the beginning, Captain America reconsiders and inspires others around him to reconsider efforts being made to restrict the Avengers. His struggle to prevent Bucky’s capture and prevent further loss of life amongst the police forces sent to capture Bucky exemplify the character element of Avoid from every angle. His motivation to prevent champions both sides. Objective character elements consider neither good nor bad; they think force and direction. In Dramatica, an archetypal Antagonist consists of two motivation elements: Avoid (or Prevent), and Reconsider. Note how these two oppose the Protagonist’s elements of Pursuit and Consider. Avoid is defined as stepping around, preventing or escaping from a problem rather than solving it. Reconsider is defined as questioning a conclusion based on additional information. Again, Captain America. Put these two elements of Avoid and Reconsider into the same player and you have an Antagonist. Regardless of whose side they fight on. Objective character elements do not see “sides”; they see inequity and the motivation to resolve or prevent resolution, of that inequity. Confusion and misattribution of purpose arrive when the Author projects their understanding of right and wrong upon the motivations of the characters, instead of relying on the actions and decisions of those characters–within the context of the narrative–to determine the morality of the events within a story. Proper setup of the initial inequity, along with a consistent and cohesive context to consider the motivations of the characters to resolve that inequity, guarantees a reliable and complete narrative.